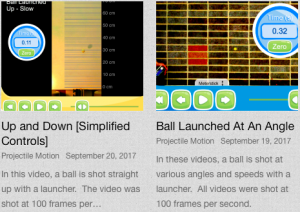 We just finished uploading six (really five, because we were able to reuse one of the scenarios) new high-speed videos for Video Motion Analysis called “Horizontal Atwood Lab”. We also put together a very simple lab activity to go with it, suitable for an introductory high school physics classes. 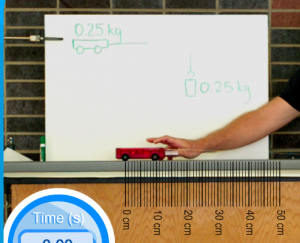 In the activity, students analyze sets of three videos to determine the relationships between acceleration and total mass, and acceleration and force. Students should be able to finish the activity in about 30 minutes. Now that the analysis apps are built, shooting new videos and uploading them goes fairly quickly. Let us know if you have any videos that you would like to see for your class! 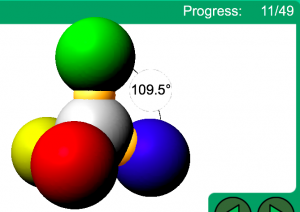 Covalent Bonding and Molecular Shapes For HTML5 Now Available! The first piece of news may not be news to you at all! If you have particularly sharp eyes, you might have noticed that both “Molecular Shapes” and “Covalent Bonding” are now available in the HTML5 ChemThink web app. Although they should be fully functional at this point, we are still doing some tweaking and testing to make sure they are ready for students before the start of the coming school year. Please let us know if you see any problems! The Molecular Shapes tutorial has undergone a major overhaul since it was original created 15 years ago. The new version of the tutorial starts by visualizing the 3D location of each electron pair in a Lewis Dot diagram, then uses those locations to show “areas of electron concentration” in 3D (shown in dark yellow on the image above), and finally shows students the 3D space-filing model of each molecule. With new 3D visualization and physics-based animations, students should be able to much more easily understand how and why molecules assume certain shapes. “Guest Mode” Coming Soon – No Student Login Required! The second piece of news is that this summer we will create “guest mode” for ChemThink. 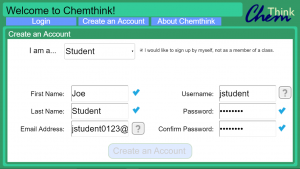 I’m sure many of you have been frustrated when students forget their password and can’t log into ChemThink. In many cases, students lose a good chunk of the period trying to login and navigate the system. This is valuable time they could otherwise spend thinking about how atoms bond to each other or why molecules are formed in different shapes. In order to reduce the amount of mental friction in the classroom, we are creating “guest mode”. Guest mode should get students into the appropriate tutorial or question set immediately — no student login required! Guest mode is still evolving as a concept, but we should have a basic version of it up and running in the next week or two, and it should be completely ready to go by the beginning of August. We will put out an announcement when it is ready. 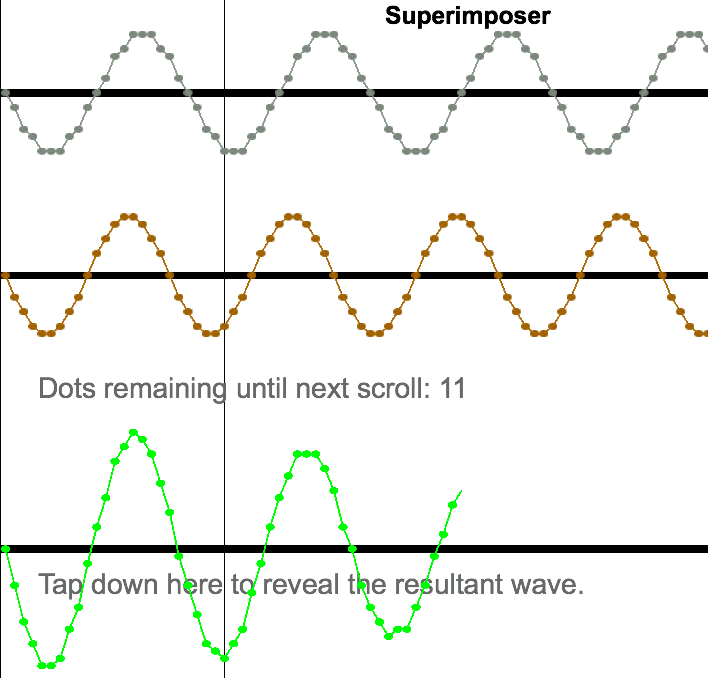 “Superimposer” HTML5 simulation is available now! In this simulation, you are presented with two waves of slightly different frequency. You use your finger or a mouse to reveal the resultant wave, and are presented with a series of questions in the app that require you to look around and find spots of constructive and destructive interference. 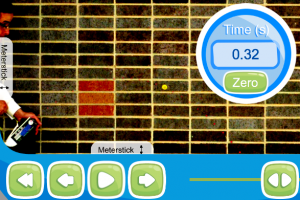 Calling all teachers to test ChemThink! Because this is a complete rewrite of the entire system, we have an opportunity to streamline the user login, account creation, and account management process. The new system should be intuitive and easy for students and teachers to use. This also means that there will be plenty of bugs to squash along the way, and we will need to develop worksheets/videos to show students how to use the new system. 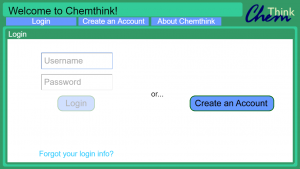 In order to make sure the system is working as flawlessly as possible before students arrive next school year, we will need a few teachers who will be willing to test ChemThink over the summer by creating teacher accounts and mock classes. I anticipate that the basic functionality will be up and running by mid-July. If you are willing to test things out in late July/early August, please let us know by sending an email to developers@nerdislandstudios.com. The user login screen – Students and teachers will be greeted by the same login prompt. The “Create an Account” screen – Students can sign up individually (as shown here), or as part of a class, where they will enter a six-digit class code provided by their teacher. Thank you to everyone for the words of support. Getting everything running again is a huge effort, and it is great to hear from everyone who is using Chemthink! Please leave your questions or comments below, and if you are interested in helping with testing this summer, please email us at developers@nerdislandstudios.com. 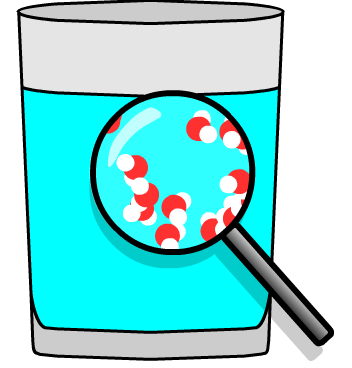 HTML5 Chemthink “The Particulate Nature of Matter” is online! Simbucket.com is pleased to announce that the HTML5 version of the Chemthink “Particulate Nature of Matter” tutorial and problem set is now online. Because the new version is designed from the ground up for HTML5, it means that students with iPads, iPod Touches, or phones can now run the tutorial in a browser without needing an actual computer. In creating the HTML5 version, I tried to stay as faithful as possible to the original Flash version, only adding or making changes where it made sense. For teachers, this means any worksheets or activities you created based on the original should still work with the HTML5 version. There are some minor tweaks to the text at the end of the tutorial that I made to improve clarity and readability. In addition, I removed all of the spaces that existed between the coefficients and the formulae. 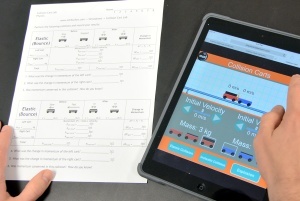 When a student clicks to launch the app, they are presented with a choice between the tutorial and the problem set. In practice, I have found that it is easiest to tell my students to open up and run the tutorial in one browser tab while running the problem set in another. If a student misses a question, I tell them to find the answer in the tutorial before clicking the “continue” button. Because there is no student login required, students are able to get started very quickly. This also means that students will need to show you when they are finished with the problem set. 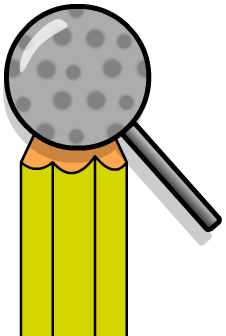 I have included a large gold star on the completion screen so that you can very quickly glance at a student’s screen to see that they are finished. For students completing the problem sets at home, I have asked that they take a “selfie” with their completion screen. Due to the overwhelming support in favor of student tracking, I do plan to reintroduce student logins and a class tracking page for teachers. I am planning to start work on this as soon as I can, but probably no sooner than this summer. 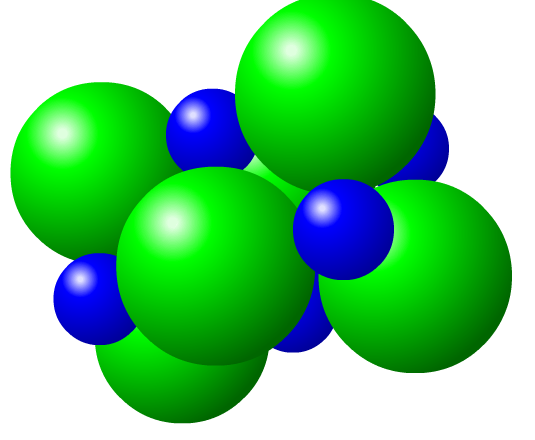 Simbucket.com is pleased to announce that the HTML5 version of the Chemthink “Atomic Structure” tutorial and problem set is now online. Because the new version is designed from the ground up for HTML5, it means that students with iPads, iPod Touches, or phones can now run the tutorial in a browser without needing an actual computer. In 1:1 classrooms, this means students won’t need to go to the computers to log in. It should take approximately five minutes less to get students up and running with the tutorial. In creating the HTML5 version, I tried to stay as faithful as possible to the original Flash version, only adding or making changes where it made sense. For teachers, this means any worksheets or activities you created based on the original should still work with the HTML5 version. Because of the amount of class time I have saved by not requiring a log in, I am strongly considering permanently eliminating the need to log in. The drawback to not requiring students to log in is that teachers will have no ability to track student progress, other than physically observing their students’ screens. If you can’t live without the student tracking feature, please speak up! From start to finish, the “Atomic Structure” HTML5 port took 12 days to complete. I am hoping that I can maintain this pace for the remaining 9 tutorial/problem sets, plus the “Chemical Reactions” lab simulation. At this rate I should finish everything in about 20 weeks, roughly around the beginning of September. What would you add or change about Chemthink? I’ve begun the process of rewriting Chemthink from scratch. At this point I’m looking at reusing all of the existing animations and texts, but we have an opportunity to make the suite of tutorials, question sets, and virtual labs even better. I can’t promise anything because I have only a finite amount of time to finish the project, but I would like to open things up for input from Chemthink users. If you could change anything about Chemthink, what would you change? If you could add any capabilities, what would you add?